Gaius Plinius Cecilius Secundus, known as Pliny the Elder, was born in Italy in the year AD 23. He was a naval and army commander in the early Roman Empire, later an author, naturalist, and natural philosopher, best known for his Naturalis Historia, a thirty-seven-volume encyclopedia describing, well, everything there was to describe. His opus includes a book on cosmology, another on farming, a third on magic. It took him four volumes to cover world geography, nine for flora and fauna, and another nine for medicine. In one of his later volumes, Earth, book XXXV, Pliny tells the story of a goldsmith who brought an unusual dinner plate to the court of Emperor Tiberius. This shiny new metal was aluminum, and that beheading marked its loss to the world for nearly two millennia. It next reappeared during the early 1800s but was still rare enough to be considered the most valuable metal in the world. Napoléon III himself threw a banquet for the king of Siam where the honored guests were given aluminum utensils, while the others had to make do with gold. Aluminum’s rarity comes down to chemistry. Technically, behind oxygen and silicon, it’s the third most abundant element in the Earth’s crust, making up 8.3 percent of the weight of the world. Today it’s cheap, ubiquitous, and used with a throwaway mind-set, but—as Napoléon’s banquet demonstrates—this wasn’t always the case. Because of aluminum’s high affinity for oxygen, it never appears in nature as a pure metal. Instead it’s found tightly bound as oxides and silicates in a claylike material called bauxite. While bauxite is 52 percent aluminum, separating out the pure metal ore was a complex and difficult task. But between 1825 and 1845, Hans Christian Oersted and Frederick Wohler discovered that heating anhydrous aluminum chloride with potassium amalgam and then distilling away the mercury left a residue of pure aluminum. In 1854 Henri Sainte-Claire Deville created the first commercial process for extraction, driving down the price by 90 percent. Yet the metal was still costly and in short supply. It was the creation of a new breakthrough technology known as electrolysis, discovered independently and almost simultaneously in 1886 by American chemist Charles Martin Hall and Frenchman Paul Héroult, that changed everything. The Hall-Héroult process, as it is now known, uses electricity to liberate aluminum from bauxite. Suddenly everyone on the planet had access to ridiculous amounts of cheap, light, pliable metal. Save the beheading, there’s nothing too unusual in this story. History’s littered with tales of once-rare resources made plentiful by innovation. The reason is pretty straightforward: scarcity is often contextual. Imagine a giant orange tree packed with fruit. If I pluck all the oranges from the lower branches, I am effectively out of accessible fruit. From my limited perspective, oranges are now scarce. But once someone invents a piece of technology called a ladder, I’ve suddenly got new reach. Problem solved. Technology is a resource-liberating mechanism. It can make the once scarce the now abundant. To expand on this a bit, let’s take a look at the planned city of Masdar, now under construction by the Abu Dhabi Future Energy Company. Located on the edge of Abu Dhabi, out past the oil refinery and the airport, Masdar will soon house 50,000 residents, while another 40,000 work there. They will do so without producing any waste or releasing any carbon. No cars will be allowed within the city’s perimeter and no fossil fuels will be consumed inside its walls. Abu Dhabi is the fourth-largest OPEC producer, with 10 percent of known oil reserves. Fortune magazine once called it the wealthiest city in the world. All of which makes it interesting that they’re willing to spend $20 billion of that wealth building the world’s first post-petroleum city. In February 2009 I traveled to Abu Dhabi to find out just how interesting. Soon after arriving, I left my hotel, hopped in a cab, and took a ride out to the Masdar construction site. It was a journey back in time. I was staying at the Emirates Palace, which is both one of the most expensive hotels ever built and one of the few places I know of where someone (someone, that is, with a budget much different from mine) can rent a gold-plated suite for $11,500 a night. Until the discovery of oil in 1960, Abu Dhabi had been a community of nomadic herders and pearl divers. As my taxi drove past the “Welcome to the future home of Masdar” sign, I saw evidence of this. I was hoping the world’s first post-petroleum city might look something like a Star Trek set. What I found was a few construction trailers parked in a barren plot of desert. During my visit, I had the chance to meet Jay Witherspoon, the technical director for the whole project. Witherspoon explained the challenges they were facing and the reasons for those challenges. Masdar, he said, was being built on a conceptual foundation known as One Planet Living (OPL). To understand OPL, Witherspoon explained, I first had to understand three facts. Fact one: Currently humanity uses 30 percent more of our planet’s natural resources than we can replace. Fact two: If everyone on this planet wanted to live with the lifestyle of the average European, we would need three planets’ worth of resources to pull it off. Fact three: If everyone on this planet wished to live like an average North American, then we’d need five planets to pull it off. OPL, then, is a global initiative meant to combat these shortages. The OPL initiative, created by BioRegional Development and the World Wildlife Fund, is really a set of ten core principles. They stretch from preserving indigenous cultures to the development of cradle-to-cradle sustainable materials, but really they’re all about learning to share. Masdar is one of the most expensive construction projects in history. The entire city is being built for a post-petroleum future where oil shortages and water war are a significant threat. But this is where the lesson of aluminum becomes relevant. Even in a world without oil, Masdar is still bathed in sunlight. A lot of sunlight. The amount of solar energy that hits our atmosphere has been well established at 174 petawatts (1.740 × 10^17 watts), plus or minus 3.5 percent. Out of this total solar flux, approximately half reaches the Earth’s surface. Since humanity currently consumes about 16 terawatts annually (going by 2008 numbers), there’s over five thousand times more solar energy falling on the planet’s surface than we use in a year. Once again, it’s not an issue of scarcity, it’s an issue of accessibility. Moreover, as far as water wars are concerned, Masdar sits on the Persian Gulf—which is a mighty aqueous body. The Earth itself is a water planet, covered 70 percent by oceans. But these oceans, like the Persian Gulf, are far too salty for consumption or crop production. In fact, 97.3 percent of all water on this planet is salt water. What if, though, in the same way that electrolysis easily transformed bauxite into aluminum, a new technology could desalinate just a minute fraction of our oceans? How thirsty is Masdar then? The point is this: When seen through the lens of technology, few resources are truly scarce; they’re mainly inaccessible. Yet the threat of scarcity still dominates our worldview. In the years since, plenty of thinkers have echoed this concern. By the early 1960s something of a consensus had been reached. In 1966 Dr. Martin Luther King Jr. pointed out: “Unlike the plagues of the dark ages or contemporary diseases, which we do not understand, the modern plague of overpopulation is soluble by means we have discovered and with resources we possess.” Two years later, Stanford University biologist Dr. Paul R. Ehrlich sounded an even louder alarm with the publication of The Population Bomb. But it was the downstream result of a small meeting held in 1968 that really alerted the world to the depth of the crisis. That year, Scottish scientist Alexander King and Italian industrialist Aurelio Peccei gathered together a multidisciplinary group of top international thinkers at a small villa in Rome. The Club of Rome, as this group was soon known, had come together to discuss the problems of short-term thinking in a long-term world. In 1972 they published the results of that discussion. The Limits to Growth became an instant classic, selling twelve million copies in thirty languages, and scaring almost everyone who read it. Using a model developed by the founder of system dynamics, Jay Forrester, the club compared worldwide population growth rates to global resource consumption rates. The science behind this model is complicated, the message was not. Quite simply: we are running out of resources, and we are running out of time. It’s been over four decades since that report came out. While many of their more dire predictions have failed to materialize, for the most part, the years haven’t softened the assessment. Today we are still finding proof of its veracity most places we look. One in four mammals now faces extinction, while 90 percent of the large fish are already gone. Our aquifers are starting to dry up, our soil growing too salty for crop production. We’re running out of oil, running low on uranium. Even phosphorus—one of the principal ingredients in fertilizer—is in short supply. In the time it takes to read this sentence, one child will die of hunger. By the time you’ve made it through this paragraph, another will be dead from thirst (or from drinking dirty water to quench that thirst). And this, the experts say, is just the warm-up round. Some things, though, are easier said than done. The most infamous example of top-down population control was the Nazis’ eugenics program, but there have been a few other nightmares as well. India performed tubal ligations and vasectomies on thousands of people during the middle 1970s. Some were paid for their sacrifice; others were simply forced into the procedure. The results drove the ruling party out of power and created a controversy that still rages today. China, meanwhile, has spent thirty years under a one-child-per-family policy (while it’s often discussed as a blanket program, this policy actually extends to only about 36 percent of the population). According to the government, the results have been 300 million fewer people. According to Amnesty International, the results have been an increase in bribery, corruption, suicide rates, abortion rates, forced sterilization procedures, and persistent rumors of infanticide. (A male child is preferable, so rumors hold that newborn girls are being murdered.) Either way, as our species has sadly discovered, top-down population control is barbaric, both in theory and in practice. This seems to leave only one remaining option. If you can’t shed people, you have to stretch the resources those people use. And stretch them dramatically. How to do this has been a matter of much debate, but these days the principles of OPL have been put forth as the only viable option. This option bothered me, but not because I wasn’t committed to the idea of greater efficiency. Seriously—use less, gain more—who would be opposed to efficiency? Rather, the source of my concern was that efficiency was being forwarded as the only option available. But everything I was doing with my life told me there were additional paths worth pursuing. The organization I run, the X PRIZE Foundation, is a nonprofit dedicated to bringing about radical breakthroughs for the benefit of humanity through the design and operation of large incentive-prize competitions. One month before traveling to Masdar, I’d chaired our annual “Visioneering” board meeting, where maverick inventors like Dean Kamen and Craig Venter, brilliant technology entrepreneurs such as Larry Page and Elon Musk, and international business giants like Ratan Tata and Anousheh Ansari were debating how to drive radical breakthroughs in energy, life sciences, education, and global development. These are all people who have created world-changing industries where none had existed before. Most of them accomplished this feat by solving problems that had long been considered unsolvable. Taken together, they are a group whose track record showed that one of the better responses to the threat of scarcity is not to try to slice our pie thinner—rather it’s to figure out how to make more pies. In this modern age of cynicism, many of us bridle in the face of such proclamation, but elements of this transformation are already underway. Over the past twenty years, wireless technologies and the Internet have become ubiquitous, affordable, and available to almost everyone. Africa has skipped a technological generation, by-passing the landlines that stripe our Western skies for the wireless way. Mobile phone penetration is growing exponentially, from 2 percent in 2000, to 28 percent in 2009, to an expected 70 percent in 2013. Already folks with no education and little to eat have gained access to cellular connectivity unheard of just thirty years ago. Right now a Masai warrior with a cell phone has better mobile phone capabilities than the president of the United States did twenty-five years ago. And if he’s on a smart phone with access to Google, then he has better access to information than the president did just fifteen years ago. By the end of 2013, the vast majority of humanity will be caught in this same World Wide Web of instantaneous, low-cost communications and information. 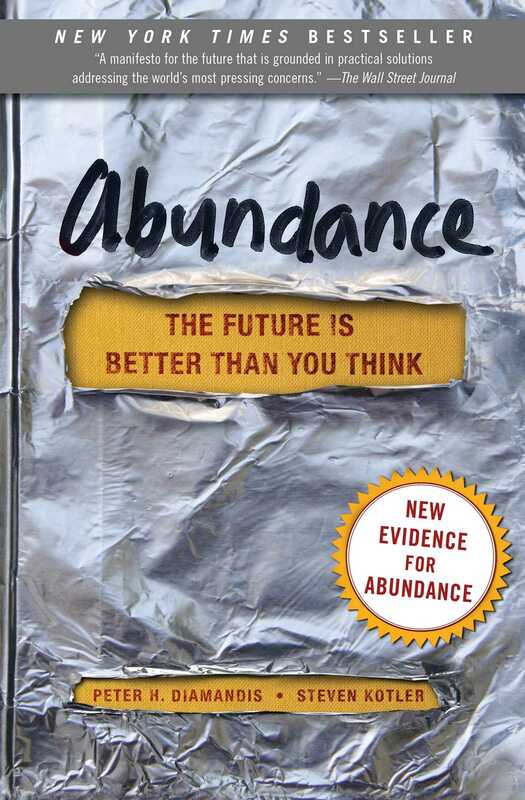 In other words, we are now living in a world of information and communication abundance. In a similar fashion, the advancement of new, transformational technologies—computational systems, networks and sensors, artificial intelligence, robotics, biotechnology, bioinformatics, 3-D printing, nanotechnology, human-machine interfaces, and biomedical engineering—will soon enable the vast majority of humanity to experience what only the affluent have access to today. Even better, these technologies aren’t the only change agents in play. There are three additional forces at work, each augmented by the power of exponentially growing technologies, each with significant, abundance-producing potential. A Do-It-Yourself (DIY) revolution has been brewing for the past fifty years, but lately it’s begun to bubble over. In today’s world, the purview of backyard tinkerers has extended far beyond custom cars and homebrew computers, and now reaches into once-esoteric fields like genetics and robotics. What’s more, these days, small groups of motivated DIY-ers can accomplish what was once the sole province of large corporations and governments. The aerospace giants felt it was impossible, but Burt Rutan flew into space. Craig Venter tied the mighty US government in the race to sequence the human genome. The newfound power of these maverick innovators is the first of our three forces. The second force is money—a lot of money—being spent in a very particular way. The high-tech revolution created an entirely new breed of wealthy technophilanthropists who are using their fortunes to solve global, abundance-related challenges. Bill Gates is crusading against malaria; Mark Zuckerberg is working to reinvent education; while Pierre and Pam Omidyar are focused on bringing electricity to the developing world. And this list goes on and on. Taken together, our second driver is a technophilanthropic force unrivaled in history. Lastly, there are the very poorest of the poor, the so-called bottom billion, who are finally plugging into the global economy and are poised to become what I call “the rising billion.” The creation of a global transportation network was the initial step down this path, but it’s the combination of the Internet, microfinance, and wireless communication technology that’s transforming the poorest of the poor into an emerging market force. Acting alone, each of these three forces has enormous potential. But acting together, amplified by exponentially growing technologies, the once-unimaginable becomes the now actually possible. Imagine a world of nine billion people with clean water, nutritious food, affordable housing, personalized education, top-tier medical care, and nonpolluting, ubiquitous energy. Building this better world is humanity’s grandest challenge. What follows is the story of how we can rise to meet it. 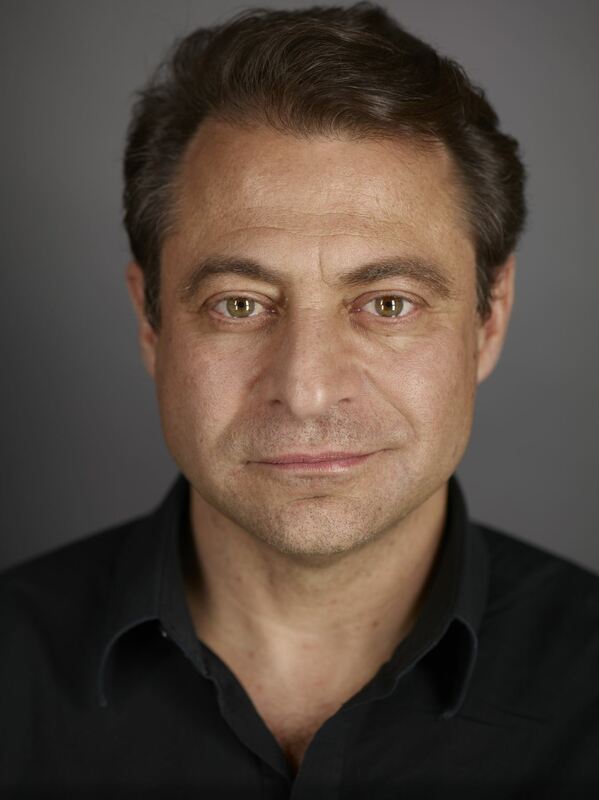 Peter H. Diamandis is a New York Times bestselling author, and the founder of more than fifteen high-tech companies. He is the CEO of the XPRIZE (XPrize.org), Exec. Chairman of the Singularity University (SingularityU.org), a Silicon Valley based institution backed by Google, 3D Systems and NASA. He is Co-Chairman of Planetary Resources, Inc. and the Cofounder of Human Longevity, Inc. Dr. Diamandis attended MIT, where he received his degrees in molecular genetics and aerospace engineering, and Harvard Medical School, where he received his MD. In 2014 he was named one of “The World’s 50 Greatest Leaders” by Fortune magazine. 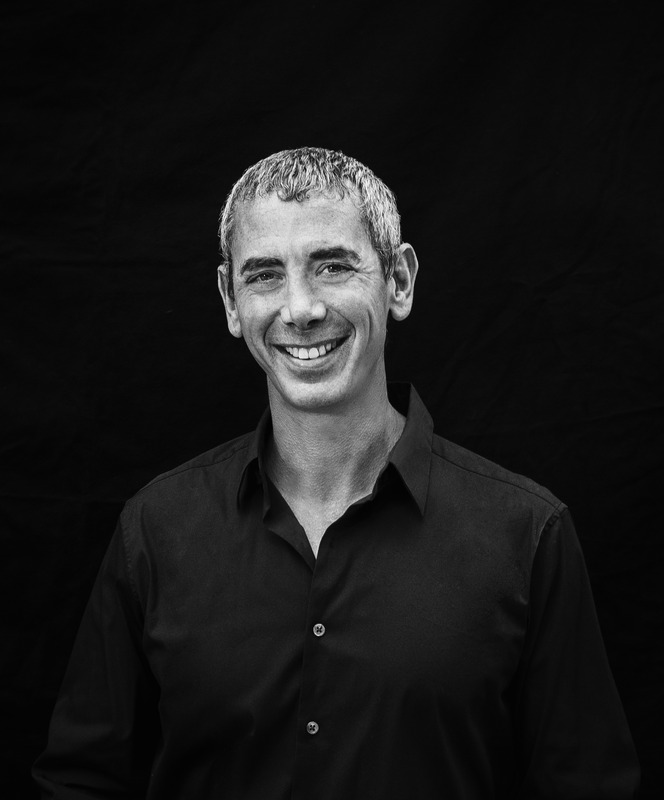 Steven Kotler is a New York Times bestselling author, award-winning journalist, and the Cofounder and Director of Research for the Flow Genome Project (FlowGenomeProject.com). His books include Bold, The Rise of Superman, Abundance, A Small Furry Prayer, West of Jesus, and The Angle Quickest for Flight. His work has been translated into thirty-five languages and his articles have appeared in over seventy publications, including The New York Times Magazine, Atlantic Monthly, Wired, Forbes, and Time. He also writes Far Frontiers, a blog about science and innovation for Forbes.com.